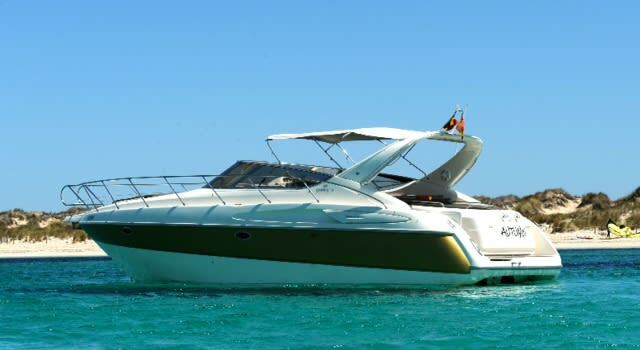 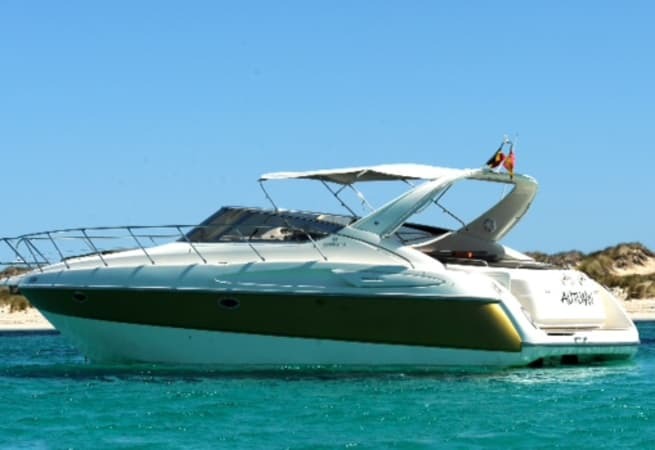 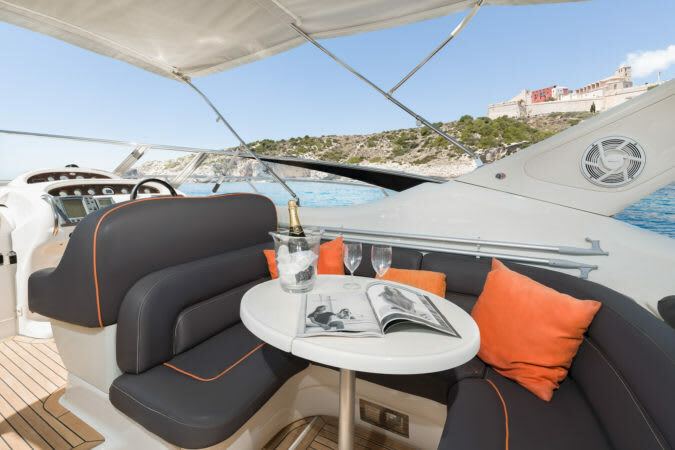 The 'Autumn' is a stylish and luxurious motor yacht. 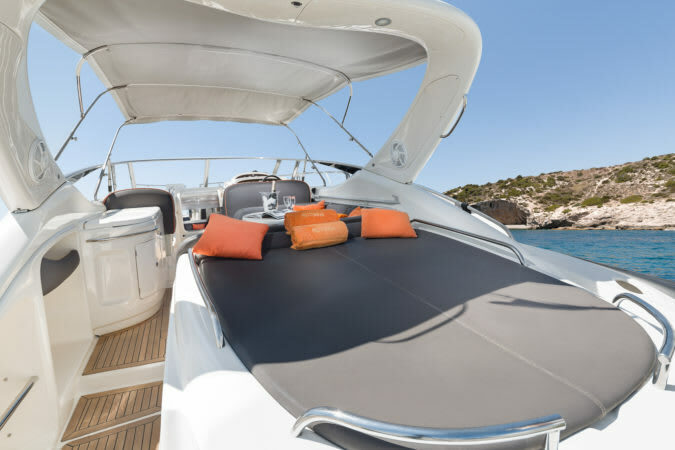 Designed in Italy, she has a sumptuous interior and sleek exterior. 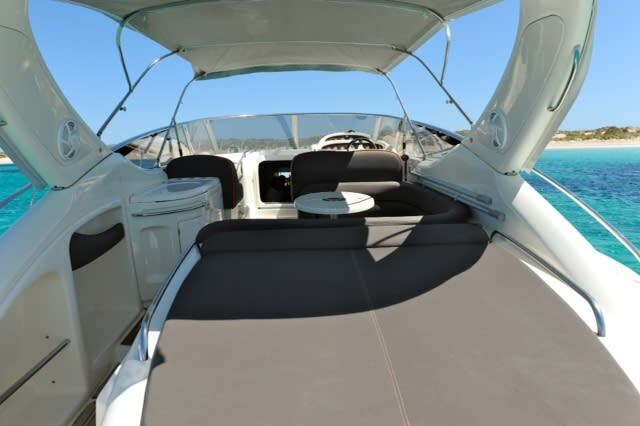 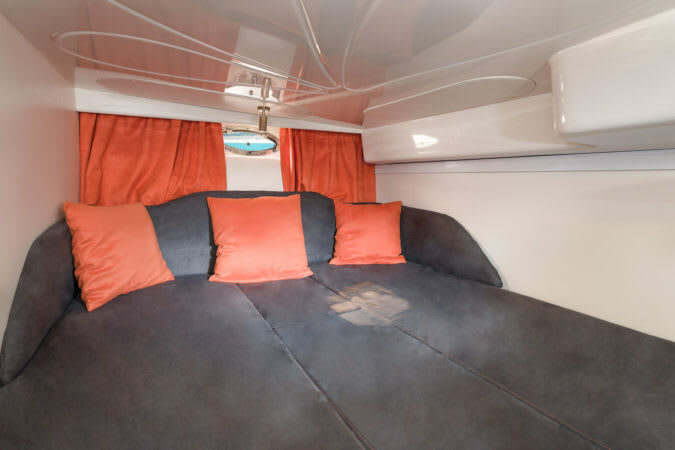 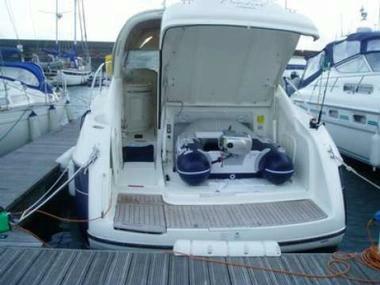 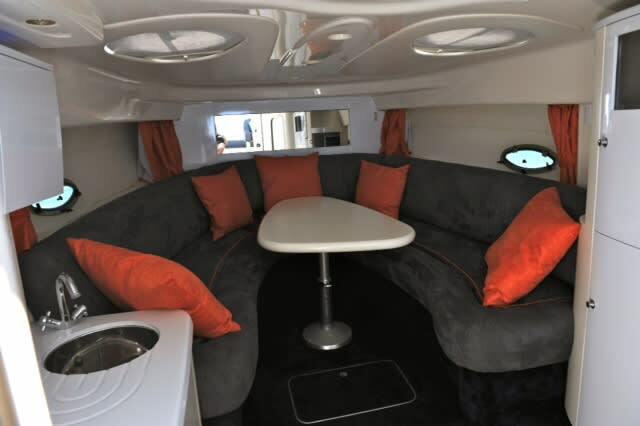 She comes with an iPod dock in the spacious deck lounge: perfect for entertaining. 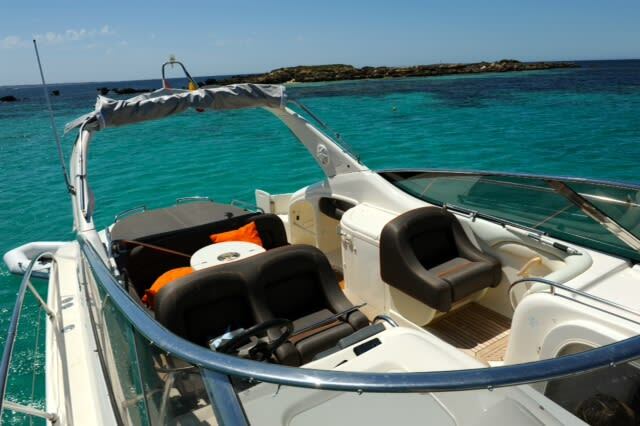 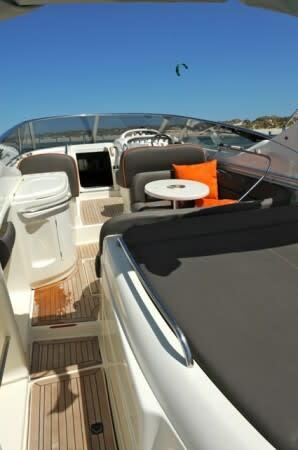 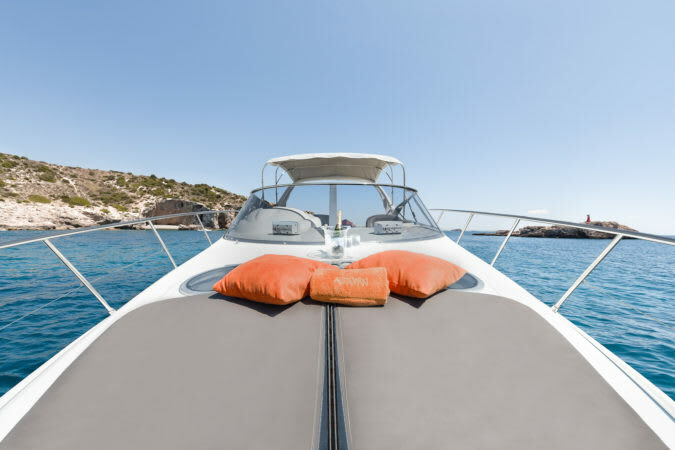 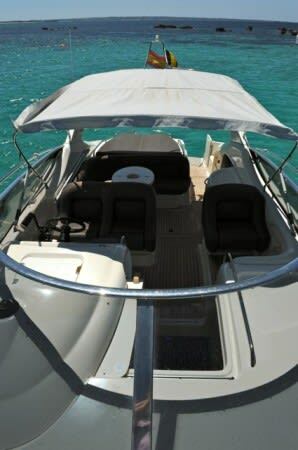 With sunloungers on both the fore and aft decks, as well as a collapsible awning over the cockpit, you can make the most of the Balearic sun. 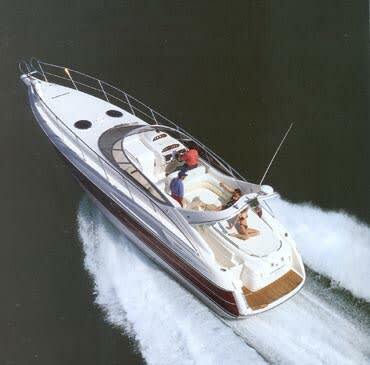 She also has a small tender for your enjoyment. 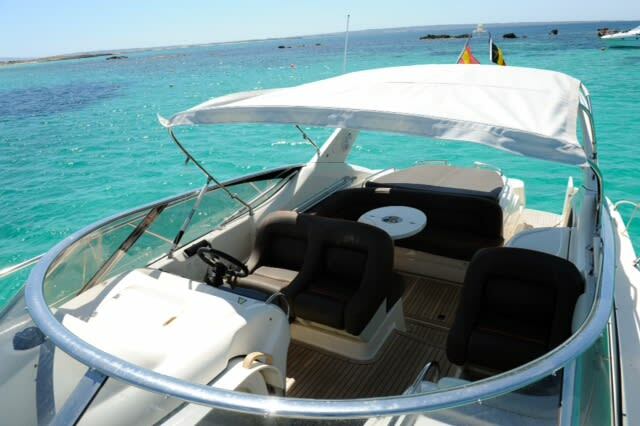 Prices start at €1512 per day (£1348 as of 15/08/2018) including VAT.